Blackburn Chairperson Anuradha Desai went on record with Sky Sports a few days ago that they would "very much like a British manager to take over, although a foreign one with very high credentials would suit them just nicely." That "manager" with "high credentials" is apparently Maradona. 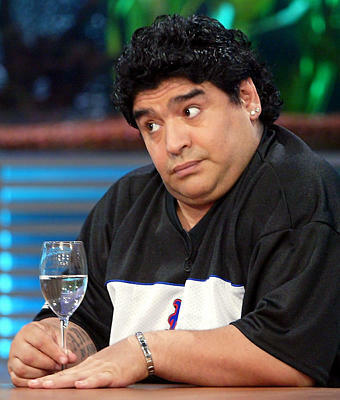 Granted, it's the Mirror that is reporting it, but they've been good with some nuggets of truth lately, and according to Desai, there was talks of Maradona taking over when they bought Blackburn, but supposedly the talks never progressed. What? No One Loves Me?